We took a cruise ship from Sydney to Honolulu for 16 days, including doing April 21 twice. We had plenty of time to make a few observations. One of these life altering observations is you can fool your Garmin Fitness tracker on a ship just as well as you can on a rough road in India. Doing laps around the Promenade Deck of a cruise ship that’s moving will also make your Fitness tracker think you’ve walked up 10 flights of steps! The scenery was a bit monotonous but the ship was much smoother than the safari vehicle. 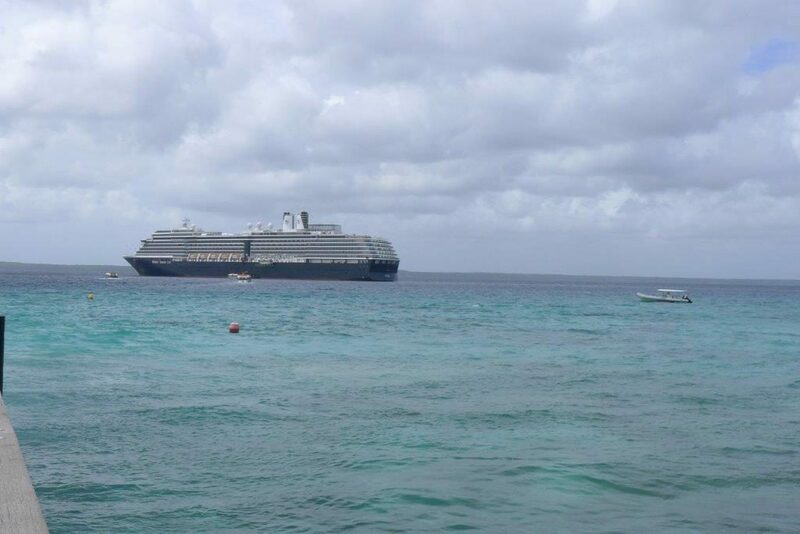 This is the MS Noordam, a Holland America cruise ship, sitting off shore in the South Pacific.